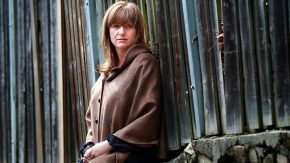 Writer-director Cate Shortland made one of the great debuts in Australian film history in 2004, garnering a record 13 AFI awards for her lyrical teen-runaway drama Somersault. EXCLUSIVE: UK distributor plans an early 2013 release for Cate Shortland’s Locarno Audience Award winning-drama. 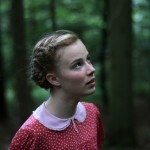 Transmission Films have announced that Cate Shortland’s new film Lore has been selected as the Australian entry for consideration for Best Foreign Language Film for the Academy Awards. The movie is Shortland’s second feature length film, after her debut Somersault which dominated the 2004 AFI Awards, winning a record 13 awards. Inaugural Official Competition includesEveryday, Ginger And Rosa, Midnight’s Children, Seven Psychopaths, End Of Watch, Rust And Bone; gala world premiere for Rolling Stones documentaryCrossfire Hurricane with the band in attendance; 14 world premieres, 15 international premieres. CATE Shortland has a deep and abiding interest in military history – and she’s got a pretty good idea why that’s no uncommon thing. Lore, the new film from director Cate Shortland (Somersault) has won the Audience Award – the Piazza Grande Prix du Public – at the Locarno Film Festival in Switzerland over the weekend. The evening screenings at the Festival del Film Locarno are a rather unique experience. Watching a film with a few thousand people outside, on the town square – the Piazza Grande – while the film is being projected onto one of Europe’s biggest outdoor screens, creates a cinematic space of enormous size. This would naturally call for the festival to accommodate its program to this enormity but in Locarno compliance has never been of particular interest. The other night was the night for Cate Shortland’s small and quiet second feature Lore and it was a quite historic night in many ways. Some sixty years after the end of the Second World War a multicultural audience sat together in Switzerland, back then the only “neutral” territory in existence, to watch a film about the atrocities of the Nazi Reich in yet another neutral setting – cinema. French director Claude Lanzmann once asked how a filmmaker could possibly show the atrocities of the Holocaust with moving images, if even the most vivid mind could not envision the range and depth of its monstrosity. Cinema has circled this topic for decades. Many have attempted to tell its stories, yet each result is but a mere approximation, a slow but steady creeping towards this horrendous abyss of human failure that scares and yet fascinates even now. Many films have covered the Holocaust; however, hardly any of them focus on the perpetrators. Lore does – by portraying the children of the oppressors. Lore, the eldest daughter of two high-ranking Nazis, must take care of her younger siblings as her parents have gone to prison. She has to make her way through Germany to the grandmother’s house that was promised to be a haven and safe place in a world gone mad. The children had been shielded from the war. While they played hopscotch and were educated in believing in the Führer and the Endsieg (the final victory), millions died around them – their parents being directly responsible. Now they are alone and must make their way through a chaotic, brutal war zone. On their way they are aided by a young man: Thomas, a Jew; his help shakes Lore’s indoctrinated belief system to the core. Despite at first glance looking like yet another anecdote, Lore transcends its microcosm well beyond the questions of guilt and responsibility. The film tries to understand the inner workings, the belief system that made an entire people comply with either actively playing a role in mass murder or turning a blind eye. To get as close as possible to the core of its theme, the film neglects the adults and turns to the children. They are the essence, the purest product of fascism, they harbor nothing but what they have been spoon-fed by their parents and society. There is another film that takes a similar approach: Michael Haneke’s The White Ribbon. Haneke’s film tells the story of a small German village on the brink of World War I that is being haunted by a series of bizarre incidents harming some of the villagers. The film reveals these incidents to be punishments, executed by the pastor’s children who suffer from his strict protestant rules that include physical and psychological abuse to ensure supreme obedience. In a sense, Lore is The White Ribbon’s sequel. Haneke examines the roots of the upcoming Nazi regime and firmly plants them in the strict Protestant upbringing and its categorical desensitizing and dehumanizing of children for the sake of obedience. His black & white aesthetics evoke the nostalgic memories of old photographs, subsequently to be romanticized by the Nazi propaganda. Shortland’s Lore picks up on this aesthetic choice by using somewhat feeble, yet slightly oversaturated color tones, a palette well known from the few colored moving images of Hitler and other propaganda material. Shortland’s choice is as impeccable as it is shocking; it resonates with the initial reactions of the German people when the colored images of Hitler were first discovered: Hitler in color, they said, is almost unbearable because it makes him look vivid and lets the horror become real. Shortland and Haneke complement one another on yet more than the aesthetic level. Lore focuses on the end of the reign, on Haneke’s abused and indoctrinated children’s children. While The White Ribbon ends with the two main characters, the “evil children”, becoming high-ranking Nazis, in Lore the children return to their grandmother who demands immediate obedience under the guise of proper German education, a concept directly responsible for the reign of terror that has just ended. She directly links back to Haneke’s diegeses. Together the two films are one of the closest approximations to the horrors of the Holocaust. If seen as one body of work, they form a psychological profile, an anthology of a whole generation’s state of mind and the interpersonal as well as historical process that led to fascism. About fifteen minutes prior to the end of the film it started to rain. Many people got up but they did not leave, they huddled together and took shelter nearby as they felt compelled to see the end. Beatrice Behn is a German film academic, curator and freelance film critic. Follow Beatrice’s work on www.icoff.de and on Twitter @danslecinema More dispatches from the Critics Academy participants will be published on FilmLinc.com through the end of the Locarno Film Festival on August 11. Keep watching for their bylines in the coming days! Told through the eyes of a Nazi-indoctrinated teenager leading her siblings on a trek to promised safety in the immediate aftermath of World War II, “Lore” offers a fresh, intimate and mostly successful perspective on Germany’s traumatic transition from conqueror nation to occupied state. Played in a determinedly understated tone that will appeal to upscale auds and restrict broader commercial appeal, the sophomore feature by Aussie helmer Cate Shortland (2004′s “Somersault”) holds a marketing trump in the knockout lead perf by newcomer Saskia Rosendahl. World-preemed in the Sydney fest competition, the pic should generate respectable niche biz worldwide.